Wonder Walls by Sarah Bagner is a scrapbook of interior design ideas with a difference. If you've ever browsed the virtual walls of Sarah's online store, Supermarket Sarah, you'll know she has something of an eye for displaying things beautifully. Wonder Walls: a Guide to Displaying your Stuff takes its lead from the Supermarket Sarah site, and is filled with ideas for using your possessions to adorn the walls of your home. You know all those trinkets and fabulous vintage pieces of clothing you're hoarding in wardrobe and under your bed? Here's your chance to get them out and show them off. Sarah has travelled all over the world to meet the people who have found ways to turn their treasures into wonderfully off-kilter design features, then picked the most inspiring, interesting and quirky walls to share. 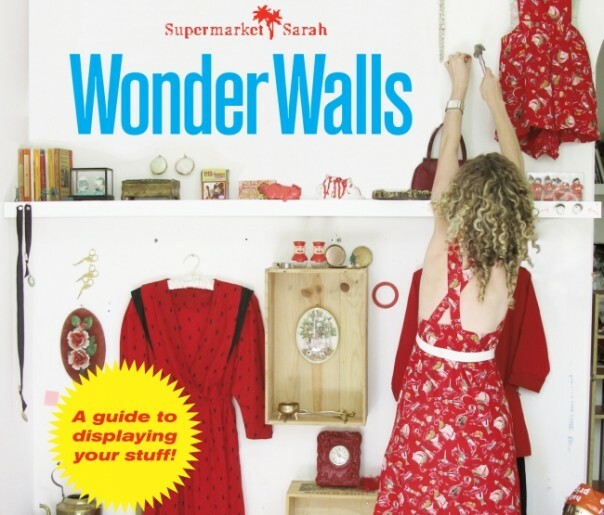 Wonder Walls by Sarah Bagner is published by CICO and is available to purchase online here.